The changes in the number of androgen receptors in rat gastrocnemius muscle following muscle contraction caused by electrical stimulation were investigated. The gastrocnemius muscle of one leg, which was selected at random for each rat, was stimulated with needle type electrodes, e.g. for 2 s at 10 V and 100 Hz, with 5-s intervals. The contralateral leg was left unstimulated as a control. One set consisted of ten such stimuli, followed by 5-min rest. Three sets every 2 days caused a statistically significant increase in muscle mass, the increase being about 2.5% after the 3rd day of stimulation, 4.4% after the 5th day, 5.9% after the 13th day and 8.3% after the 27th day compared with each control muscle (P< 0.001 in each case). The protein content also increased but the water content did not change. Stimulation over 4 weeks induced an increase in the area of the cross-section of the muscle fibres to about 30076 more than that of the control muscles, though the total muscle fibre numbers were slightly, but significantly, reduced. Electromechanical properties supported the development of the muscle by stimulation, because the maximal isometric tetanic force and peak twitch force markedly increased in the stimulated muscle. The androgen receptors in the muscle cytosol fraction were determined by means of a binding assay involving [3H]methyltrieno-lone, which is an analogue of testosterone, the number having rapidly increased in the stimulated leg, when compared with that in the control leg, by about 25% after the 3rd day. The increase then slowed down, reaching a plateau after the 5th-day of stimulation. The receptor dissociation constants for [3H]methyltrienolone remained unchanged, i.e. approximately 0.3 to 0.4 nmol throughout the experimental period. 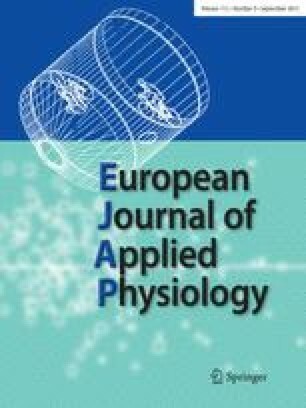 These findings suggested that a rapid increase in the number of androgen receptors occurred as an early event for a practical increase in muscle mass and thus it may have contributed in part to the triggering of muscle hypertrophy by enhancing the muscle sensitivity to androgen.